Sir Murray Fraser Sueter (1872 – 1960) was one of the most colourful personalities of the Royal Navy prior to and through the First World War. He is best remembered today as a pioneer of aviation – of airships as well as fixed-wing craft – and he was essentially the creator of the RNAS, the Royal Navy Air Service. One of his most notable achievements was development of the torpedo-carrying aircraft, and his was also involved with innovative employment of armoured cars. A forceful personality, he ran foul of senior levels in the Admiralty late in the war, and he retired – or was perhaps induced to do so – at the age of only 48, as a Rear Admiral, entering politics thereafter. 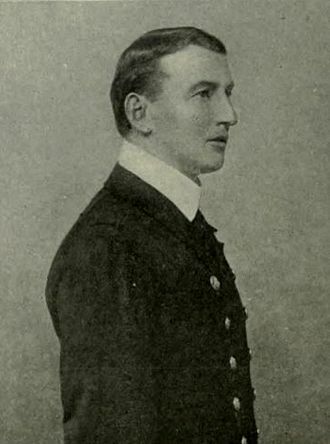 Prior however to his association with aviation, Sueter had been involved with introduction of submarines into the Royal Navy, a role that his specialism in torpedoes during his early career fitted him for. In 1907 he published a massive volume entitled “The Evolution of the Submarine Boat, Mine and Torpedo”, with a subtitle of “From the sixteenth century to the present time.” This massive tome, well-illustrated by old prints and later by photographs, is a goldmine of information for anybody interested in naval warfare. I have been lucky to have access to a copy and the following account, of an early experiment I had never previously heard of, draws upon it. John Day (? – 1774) was a ship’s carpenter. When living in Norfolk in the 1770s he became fascinated with the idea of submarines. He does not seem to have paid attention to propulsion underwater and concentrated on the ability to submerge a human safely. He experimented initially with models and later modified a small boat in which he conducted test dives to 30-feet near Yarmouth, ascending safely afterwards. Following this success, he gained support of a gambler called Christopher Blake, and others, who put 340 Pounds Sterling at Day’s disposal to build a “diving chamber”. A 50-ton sloop was purchased for conversion and was fitted out for more ambitious tests. The illustration above, taken from Sueter’s book, shows cross-sections of the vessel. A sealed wooden air-chamber was constructed amidships with access through a manhole in its roof. Large stones were suspended beneath as ballast and could be slipped free from within to allow fast ascent. One successful submergence was made in Plymouth Sound and this prompted a second in a deeper and more exposed part of the anchorage. This attempt took place on June 20th 1774 and the craft was initially found too buoyant to sink. Day accordingly ordered further stones to be added after he had entered and sealed the air chamber. With the extra ballast, the craft plunged down to the seabed 22 fathoms (132 feet) below the surface. Day had bet with Blake that he could remain safely underwater for 12 hours. The time passed and there was no sign of the craft itself, nor of the coloured floats which Day had intended to release for signalling. Given the depth and the water pressure – some 57 pounds per square inch – it is probable that the slab-sided wooden compartment had collapsed. Lord Sandwich, First Lord of the Admiralty (professional head of the navy) was in Plymouth at the time and he ordered the Frigate HMS Orpheus to undertake a rescue attempt. These proved fruitless and hope was abandoned. There was a macabre postscript. A London physician – a Doctor Falcke – heard of the incident and rushed to Plymouth. He was convinced that if Day was still in the air-filled chamber the cold of the water might have kept “his blood in a good condition” and that animation might be suspended. If the body could be recovered before decomposition set in then Falcke believed that he could reanimate the body. With this in mind he privately initiated sweeping operations. These located the wreckage some 300 yards from shore but attempts to lift it failed when weather deteriorated. It seems that Day’s body was never recovered. Day’s death was to be the first in a submarine. It was not to be the last and fatal accidents were to mark to development of these craft long before they ever saw service in war.